Quite simply, there is nothing better than relaxing on a summer evening, door open, slight breeze blowing, dog in tow. . .listening to Vin. Enjoy while you can, Dodger fans. 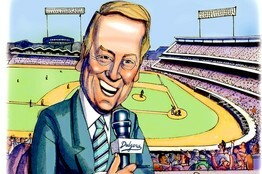 I can not stress enough how fortunate we are to have Vin Scully as our Homeboy.